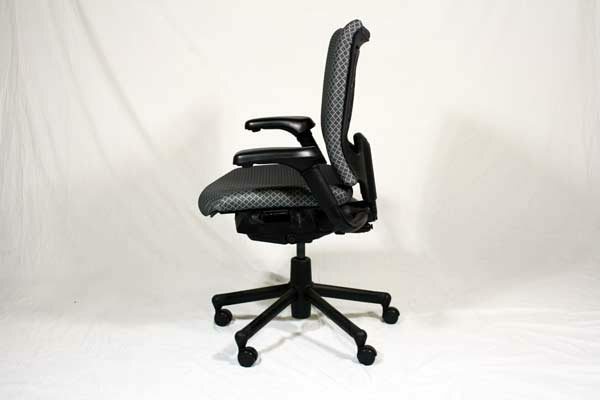 This Haworth high back task chair features tons of adjustment and padding for comfort. The adjustments include seat height, back height, tilt tension and tilt lock. The upholstery on the seat and back is pattern fabric with tones of black, white and gold. Take a look at our pre owned selection. 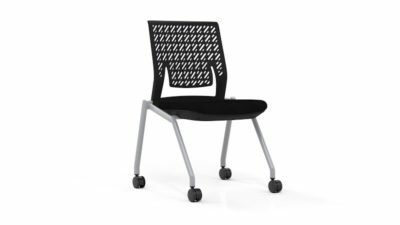 of black fabric fully adjustable task chair. 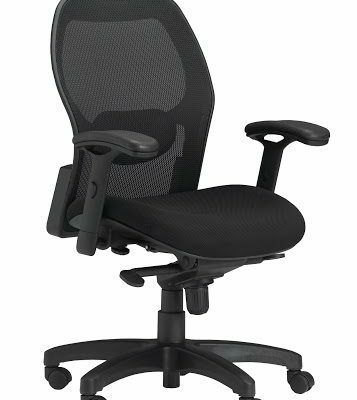 Looking for a used black fabric fully adjustable task chair in Orlando? 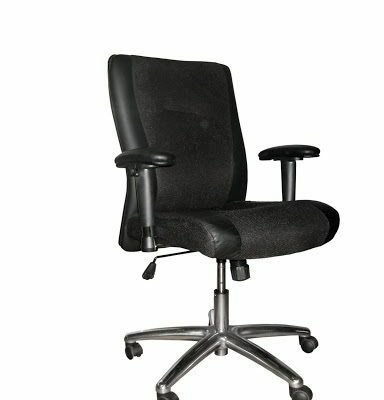 We have best pre-owned Haworth fully adjustable task chairs, in black fabric, available at our air conditioned showroom. We are your used task chair furniture outlet! Haworth High Back office furniture delivery and set up available in Florida and beyond. 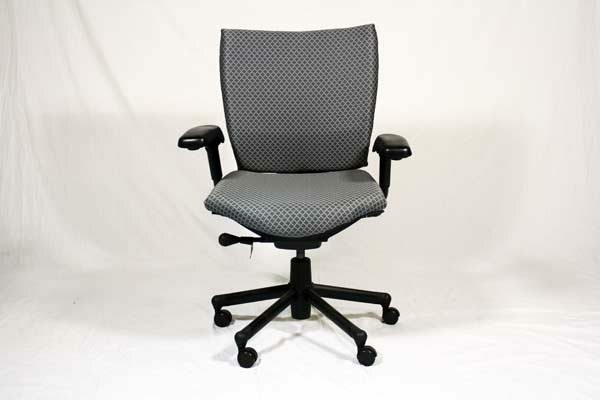 Office Liquidation is your best office furniture outlet for best pre-owned fully adjustable task chairs.